Take a time travel back to the prehistoric age and face deadly dinosaurs on the loose. 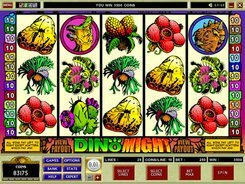 Just open the Dino Might slot machine from Microgaming and have fun. 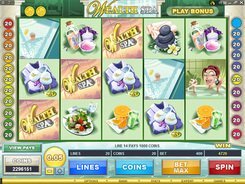 This fantastic 5-reel 25-payline game employs dinosaurs, flowers and other flora and fauna-related symbols. 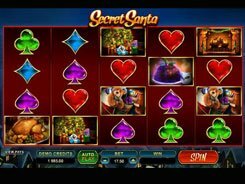 You can bet one to ten coins per spin and configure a coin size from 1c to 50c, setting the money equivalent of the total wager to $125. A wild is represented by the Dino Might symbol. 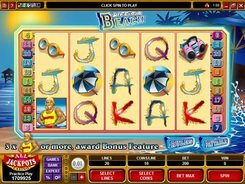 Five wild symbols hit on any enabled payline award a top jackpot prize of 8000 coins. 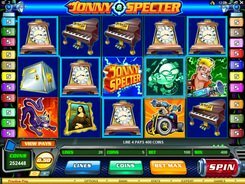 A wild acts like in other slot machines substituting for all icons, except for scatters and Bonus symbols. The fossilized mosquito amber is the scatter, with these three triggering the Match Bonus feature. You have to select fossil icons until matching 4 of the same type. The maximum possible award you can grab in the Match Bonus game amounts to 20,000 coins! The Triggersaurus is a bonus symbol that activates an entertaining bonus game where you will piece together a jigsaw puzzle to earn a good cash prize.